Come and elect the best candidates for 13/14 LUMS committee! The manifestos of the contestants running for the upcoming LUMS Election are now uploaded to the offcial AGM event page. The candidates can now start running their campaigns. Please check it out as you will need as much information as possible to cast your vote this Sunday. Last but not least, do remember to attend the AGM this Saturday! P/s: Don’t forget to check their manifestos on our event page 🙂 and some colourful posters on LUMS Facebook page! The Sun is out! It’s a call for our yearly mini marathon. 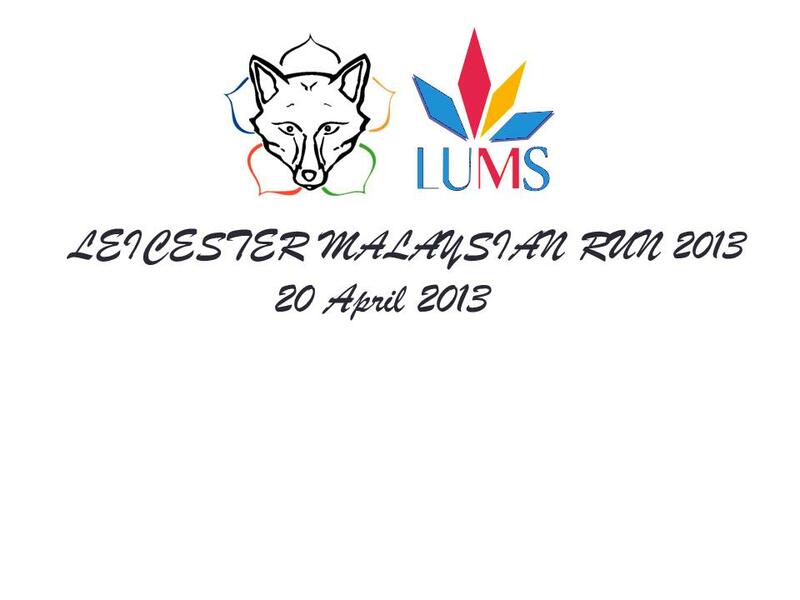 Leicester University Malaysian Society (LUMS) cordially invites you to the 2013 LEICESTER MALAYSIAN RUN (LMR) – a healthy way to spend your spring break! The event was first held by LUMS in spring 2012 and with the encouraging support, we have decided to have it again this year. The route for the run will be around the University of Leicester area and the nearby Leicester landmarks. Awesome prizes are up for grabs for the winner, first runner-up and second runner-up of both categories. Medals and certificates are also provided for the first five runners in each category. Free drinks will be provided for runners. Registration fee is only £3. We hope that you can inform and promote this event to your local Malaysian community. 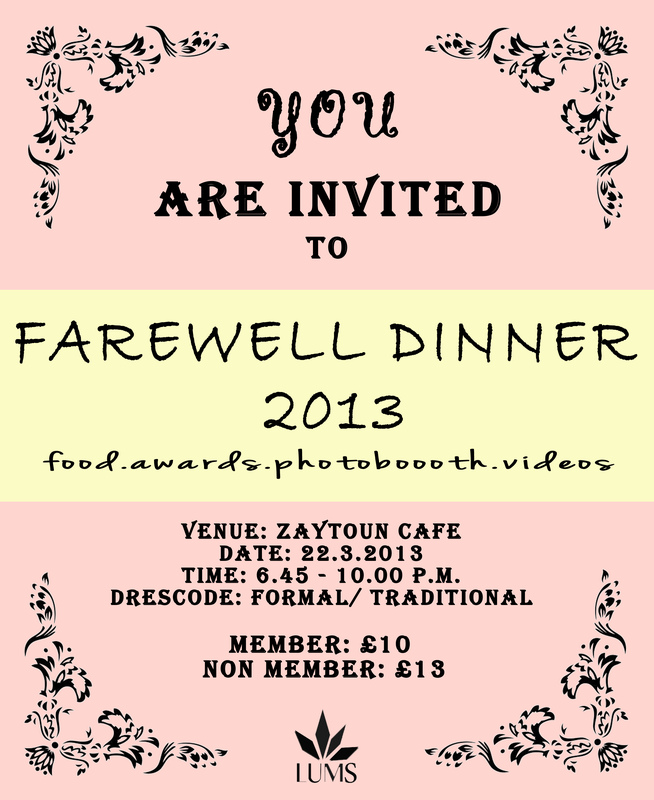 Any question regarding LMR 2013 can be asked in the Facebook event page or through this email. 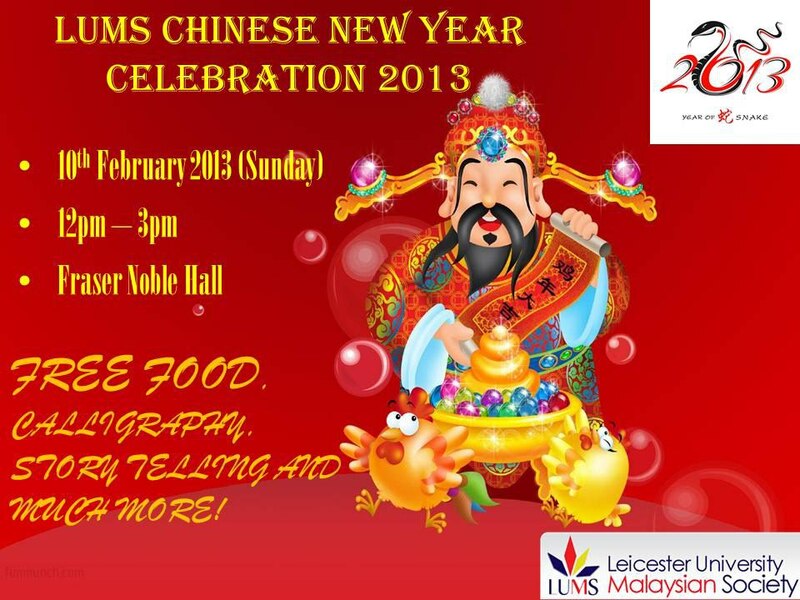 We look forward to welcoming your local runners and spectators to Leicester as we want to make the 2013 Leicester Malaysian Run a great one. Come and embrace our very own culture! -Take a picture of you and your friend wearing our very own traditional Malaysian costumes. -Help to distribute some promotional materials from Tourism Malaysia which includes free travel guide booklets, pamphlets, maps, notepads, pens and postcards. All in all, please come and join us to promote Malaysia’s diversity and multiculturalism to the local students! Are you a big fan of Ustaz Don? Feeling alone for the upcoming festival? Does it make you miss home even more? No more worries, LUMS is here to rescue. Yes, the event is free as always, because LUMS is that awesome. 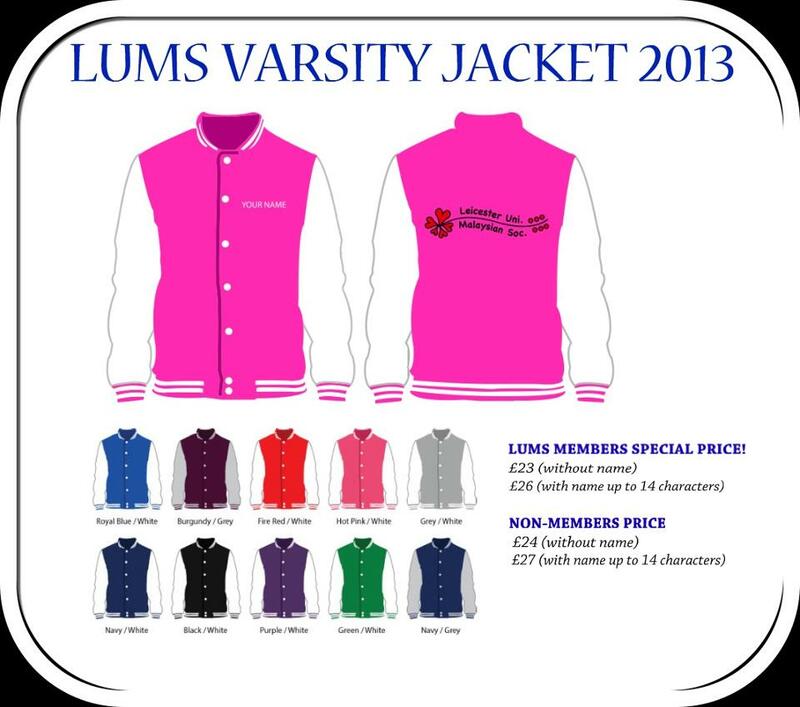 The LUMS varsity jacket is now on sale! The deadline for the sales is on 13th Febuary (Wednesday). So get going and order one now! The semester is drawing to an end, and cold winter is crawling in. But fear not! LUMS will make sure the holiday starts with a BAM! Come join us this Friday night, to hangout and play for once before digging yourself into the pit less depth of revision (or slacking off, depending on what you prefer). We have free food, free drinks and free games. Yes, everything is free, as LUMS is awesome and want to treat the devoted members for one good night. So lock the door, lower your blind, put on the your heels, because LUMS have what you need. 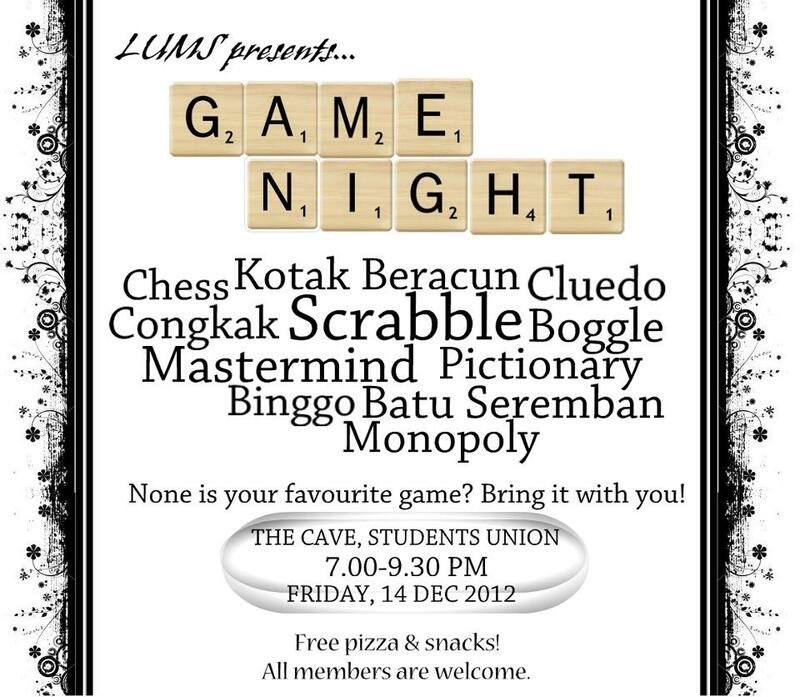 We present to you, the GAMENIGHT 2012. 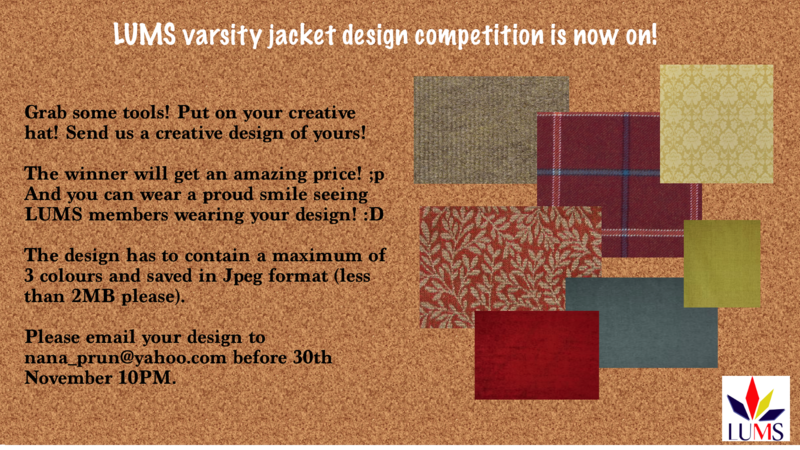 We had LUMS hoodie two years back, LUMS t-shirt last year, and this year we proudly bring to you our own LUMS varsity jacket! Send us your design now, and stand a chance of winning a great prize! An opportunity not to be missed for medical students! Are you a medical student in a UK/Ireland university? Finding it challenging to keep up with medicine? Studying your head off for the exams yet finding it difficult to be on top of your game? The lone Malaysian medical student in your university and struggling to adapt? Fear not.. For help is near! We present to you, Malaysian Medical Students Training Initiative! In general, being an international medical student in a different culture and setting away from home is challenging. Moreover, medical students have to adapt to the university learning style, and learn to be responsible of their own learning, especially in clinical years. Recently, there is a growing number of medical students facing serious academic problems, resulting in them having to repeat a year of study or being asked to withdraw from the program. This is unfortunate, as these students are the cream of the crop and most strive their best in medical school. At the same time, there are also a growing population of Malaysian medical doctors working in the United Kingdom who are excellent clinicians and enthusiastic teachers. As a student body committed to the holistic development of students, IKRAM UKE is taking this initiative to help support medical students being excellent students, competent doctors who contribute to the society. Congratulation on being a part of the Leicester Family!!! Below gives you the information on LUMS. Hope to have a fun filled year with all of you! Why does this Society exist? LUMS stands for the Leicester University Malaysian Society. LUMS is an integral core of the tight-knit Malaysian community in Leicester, providing friendship, networking, a series of events every term and general welfare for our members. 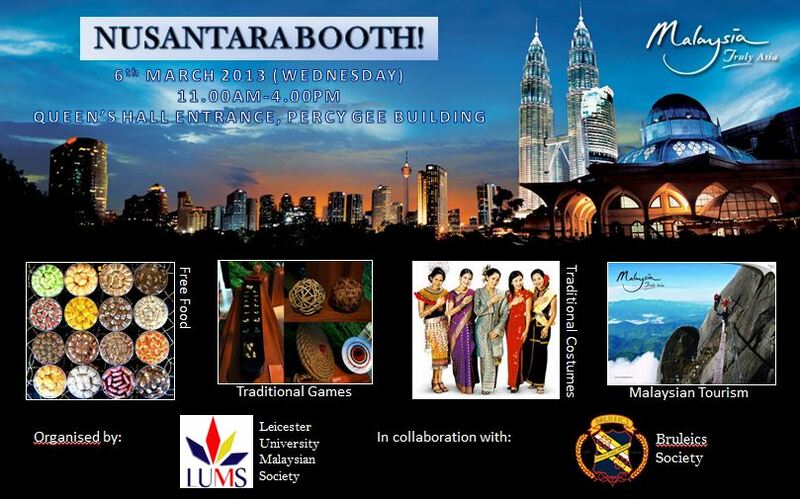 The society mainly focuses in making their members’ stay in Leicester a memorable and enjoyable one whilst introducing the multi-cultural Malaysian community and South-East Asian culture to the locals through numerous events organised throughout the year. Clocks go back 1 hour! Bosworth Outing: A trip we never forget. And the winning design is……..
School’s Out: Chill Out and Relax! LDL – Let’s Discover Leicester this 09/10/2011!! !